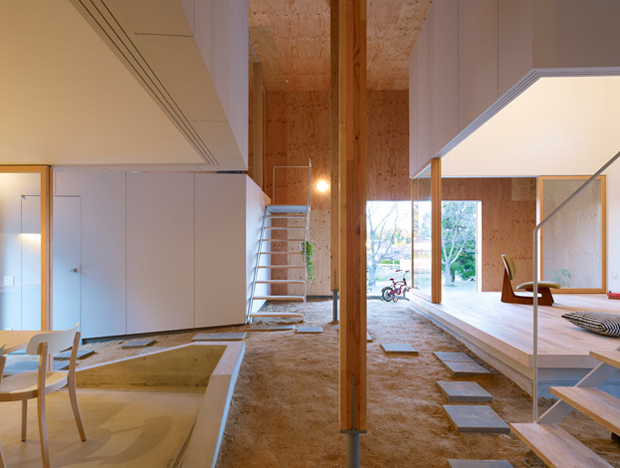 The Japanese designers never cease to amaze me when it comes to architecture because of the sheer lengths they will go in order to connect their homes to the surrounding environment. 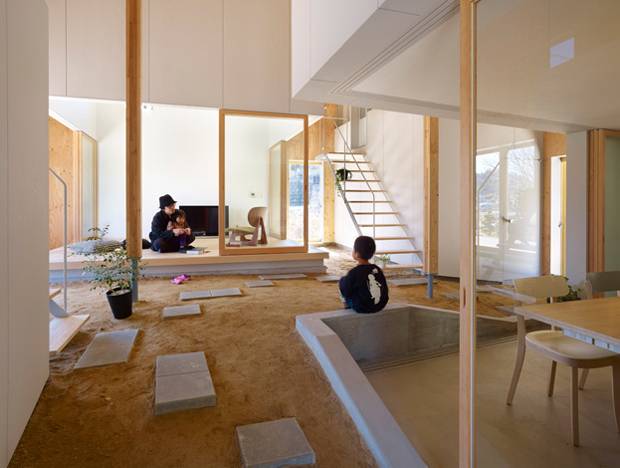 This innovative house from the quirkily named “Suppose” design office attempts to bring the outside inside, implementing an interior sand floor with raised beds that form the traditional areas of the home. 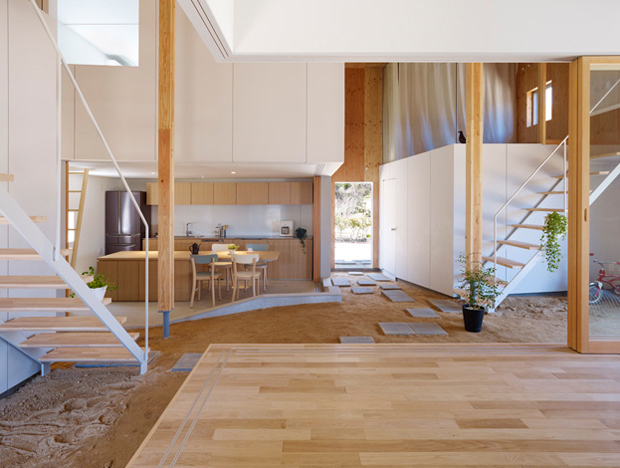 At a first glance it’s hard not to question the practicalities involved with having a floor made of sand, especially keeping those raised kitchen areas clean. 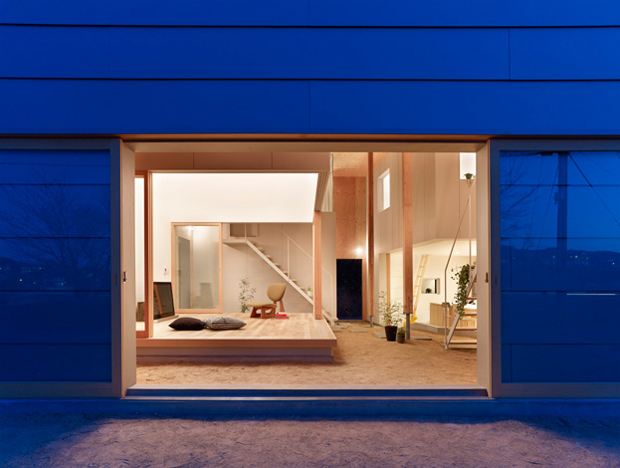 However I want to give this idea a chance because I don’t think progression is ever made without considering the unthinkable, I’d love to stay here and see what this style of home has to offer it’s owner. 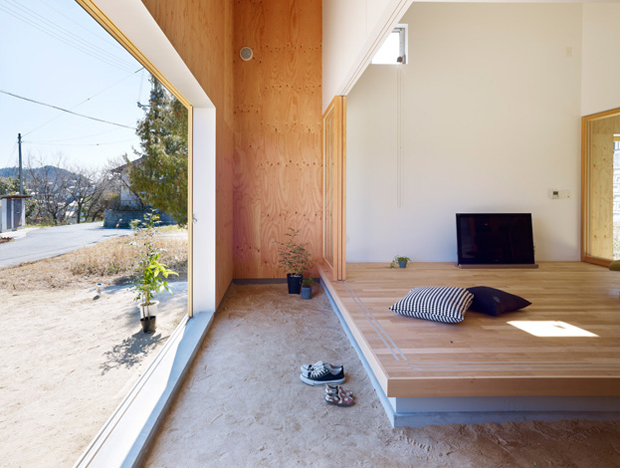 Typically with a Japanese home the designer has gone with a less is more, minimal aesthetic throughout with the vast white areas complemented by light wood and an abundance of natural lighting. Keeping the aesthetic so stripped down puts further emphasis on the items around the home, the plants are a great subtle addition and I love that brown chair which has bags full of character, a classic looking design too. 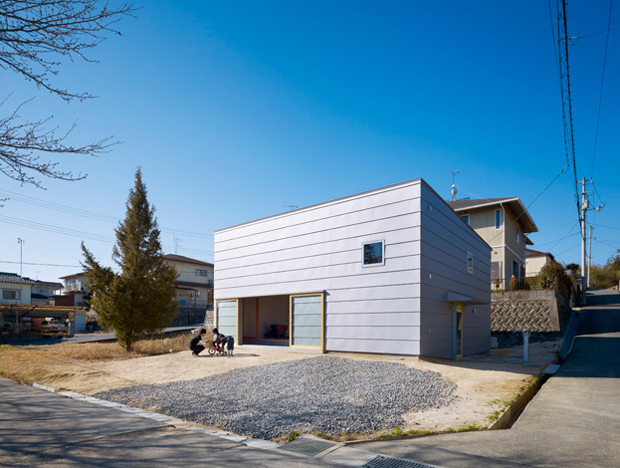 If you enjoy Japanese architecture like us, I’d really urge you head across to the website of “Suppose” and have a browse of the other projects they’ve undertaken. 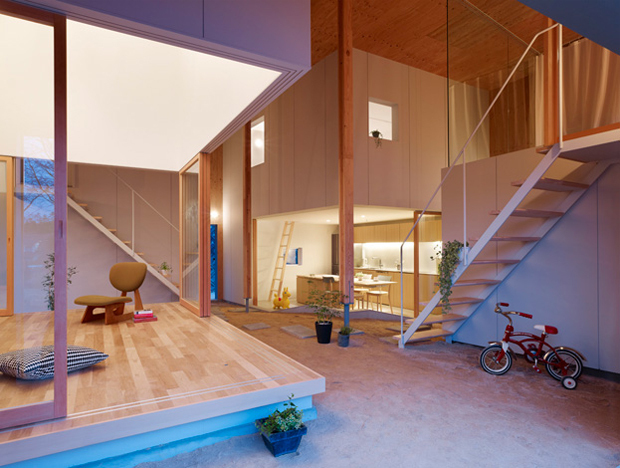 As a final note I do believe I have spotted a cheeky Eames bird hiding within this home, so if you have the time why not play a quick design addition of Wheres Wally? (or Where’s Waldo? for you Americans and Canadians), this certainly brought a smile to my face.